Now, the full on-air lineup is now set and ready for national launch. With Tus Mañanas Lazer con La Tequi y Don Hercu kicking off each morning six days a week, and heard in several markets across California, the now nationally syndicated format is being offered through syndicator Envision Networks. Yolanda “La Tequi” Velázquez and Elias Conde, alias “Don Hercu.” have entertained radio listeners for a combined 40 years and have been a broadcast team for the past six years. Affiliate managers at Envision Networks can be reached at 216.831.3761 or at radiolazer@envisionnetworks.com. Telemundo Deportes has launched the first-ever Spanish-language esports channel in the U.S.
Offering fans more than 2,000 streaming hours of content a year featuring exclusive streamers, short-form content and competitions, the channel isn’t available on an MVPD or digital multicast. Rather, the “channel” is a digital offering, accessible via livestream on Twitch and YouTube. The EA Sports FIFA19 Global Series is the first competition to stream on the Telemundo Deportes esports channel, presenting exclusive coverage of the entire tournament, including the upcoming events from the Global Series and the Grand Final. Live coverage of the EA Sports FIFA19 Global Series begins with the Global Series’ EA FUT Champions Cup, April 5-7. The FIFA Global Series will continue through the end of June followed by the exclusive stream of the Grand Final taking place in the summer. Ornelas’ stream features her playing Overwatch and Fortnite while “El Patan” plays Rocket League and also the EA Sports FIFA 2019 as he competes in the FIFA Global Series. For the first time in broadcast history, the FIFA Women’s World Cup will be broadcast live on U.S. Radio. You’ll just have to understand Spanish to follow what’s happening in France. In a collaborative effort between Lotus Communications’ KWKW-AM “ESPN Deportes Radio” in and right holders Fútbol de Primera, the FIFA Women’s World Cup will air on the Spanish-language Sports Talk station this summer. The FIFA Women’s World Cup takes place in France between June 7 and July 7, and the U.S. Women’s team enters the tournament as the number one ranked team in the world, according to FIFA’s most recent world rankings — and as the defending champion. KWKW President Jim Kalmenson first shared details of the pact with Hispanic Market Overview in early February. An official announcement was made February 26. KWKW holds the rights to the Los Angeles Lakers, Los Angeles Rams and the LA Galaxy and is the first full-time Spanish-language radio station to be based in Los Angeles. KWKW has been under the continuous ownership of Lotus Communications since 1962. FDP’s programming is carried in more than 100 affiliates, and will broadcast its fifth FIFA World Cup in 2022. This summer, FDP will also air CONCACAF’s Gold Cup; it continues to be the exclusive radio partner in Spanish of the Mexican National Team. Do broadcast and cable media have an opportunity to drive box office growth through the advertising of new movie releases via Spanish-language and Hispanic-targeted media? According to MRI-Simmons and E-Poll, Hispanic moviegoers aged 18 and up are 36% more likely to see at least one movie a month. Furthermore, 41% of Hispanic moviegoers attend one movie a month or more, compared to 30% of all U.S. moviegoers. Factor in teens, and Hollywood has a Hispanic growth opportunity. MRI-Simmons and E-Poll also note that 1 out of every 5 Hispanic moviegoers prefer to see a new movie on opening weekend; this makes them 69% more likely to do so compared to the average moviegoer nationwide. What do Latino theater attendees like to see? The top three genres among Hispanic moviegoers are Action/Adventure, Comedy, and Drama; and in each category, their favorite actors and actresses are sometimes profoundly different from the overall U.S. population. This mirrors conclusions reached in studies conducted by Mintel, with the support of the Adam R Jacobson Consultancy, earlier this decade. A January 2019 analysis using MRI E-Score Celebrity Fusion shows how the Hispanic fans of today’s leading film stars also differ in their preferences across a host of product categories, from bottled water to candy. Hispanic moviegoers who are fans of Jennifer Lopez are 32% more likely than the average U.S. population to be Kit Kat consumers in the past 6 months. But, those who like Mila Kunis are two times more likely to be M&M’s Almond consumers. Lopez, Kunis, and Sofia Vergara are the most-liked film actresses among Hispanic moviegoers. How this ties in to candy sales is intriguing and could yield marketing strategies that boost concession receipts — a profit driver at such luxury theater chains as iPic and Silverspot Cinema. The MRI E-Score Celebrity Fusion also identified that Hispanic moviegoers who like Leonardo DiCaprio are 62% more likely to be Fiji bottled water consumers in the past 6 months, compared to the U.S. average. Interestingly, DiCaprio, Keanu Reeves and Chris Rock are the most-liked film actors among Hispanic moviegoers polled in this research study. The findings on Hispanic moviegoers come from the January 2019 MRI E-Score Celebrity Fusion – a fusion of the MRI-Simmons Doublebase 2018 data and data from E-Poll’s E-Score Celebrity study. Doublebase 2018 data represent two waves (roughly 48,000 consumer interviews) of MRI’s Survey of the American Consumer. The MRI E-Score Celebrity Fusion covers over 4,000 celebrities and 600 product categories, allowing brands, agencies, and media companies to see which celebrities best fit with their brands, sponsorships and media campaigns. 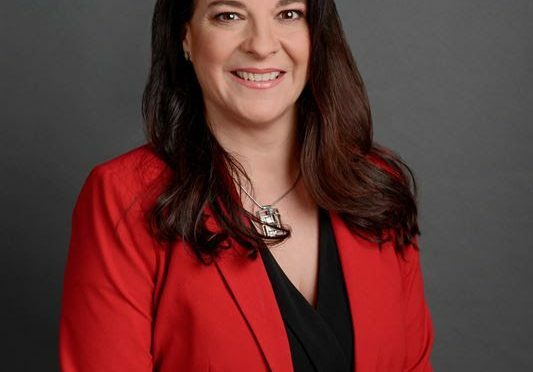 Claudia Franklin, formerly SVP/Communications and Public Affairs for Viacom International Media Networks (VIMN) Americas, has taken the role of VP/Entertainment Publicity at Telemundo. 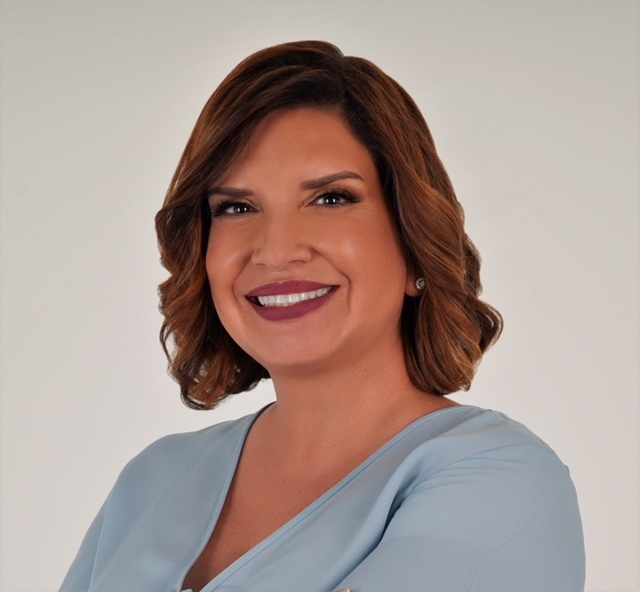 The move comes as a woman widely known for her 12+ years as VP/Corporate Communications and Public Affairs at the NBCUniversal Telemundo Enterprises unit settles in to her new role as VP/Communications at VIMN. That’s Michelle Alban, who took on her new duties in early February. As the head of entertainment publicity at Telemundo, Franklin will be responsible for all consumer-focused publicity efforts to promote the Hispanic TV network’s entertainment content and talent across earned media platforms and social influencers. “Franklin will spearhead Telemundo’s team of experienced publicists and work closely with Telemundo Global Studios and the network’s programming, talent, research and marketing teams to support, align and elevate the company’s brand and meet viewership goals,” the company said. At VIMN Americas, Franklin led the corporate communications and brand publicity throughout Latin America for Viacom’s portfolio of brands including MTV, Nickelodeon, Comedy Central and Telefe, Viacom’s Argentina-based network. Before that, Franklin was Director of Marketing and Communications for Discovery Kids. For Alban, her new role sees her taking on all communications for VIMN across Iberoamérica, reporting o Susana Sala, Senior Vice President of Human Resources & Administration for VIMN Americas and to VIMN Communication leads; Matt Baker, Senior Vice President of Communication; and Kate Laverge, Senior Vice President of Communications and Culture. Alban most recently served as Head of Communication for Lima Charlie Communications, a boutique marketing firm that represented such clients as Combate Américas. But, she is widely known for her tenure at Telemundo, which stretched from March 2003 — when she was hired as Director of Primary Research — through September 2017, when she exited the Comcast-owned operation. Earlier in her career, she served as a Dunedin, Fla.-based account executive at Nielsen. She will be based in the newly consolidated downtown Miami office. A Spanish-language radio host presently serving as a baseball play-by-play announcer for Fox Deportes has joined MLC Media Services to helm a new syndicated general-interest morning show being offered to Hispanic radio stations across the U.S.
A general-interest program, El Cotorreo will feature Los Angeles-based co-host Taly Taly Elizondo for news and banter. Celebrity interviews, along with the latest news “on what is happening in immigration, entertainment, sports, wellness, motivation and more” is being promised to listeners. Alvarez’s resume includes roles at Entravision, Univision and now-defunct TV network MundoFox. 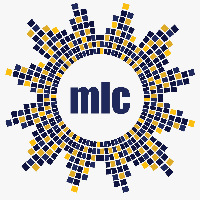 MLC Media Services produces and distributes Spanish-language programming across the U.S. and Mexico. Signature programs include El Show de Alex ‘El Genio’ Lucas, Armida y La Flaka, El Show de Chiquibaby, El Show de Compa Mike, El Show de Toño, and Ana Lisa y Julieta. Armida y La Flaka and Lucas, respectively, were just added to KSSE-FM “José”, simulcasting KLYY-FM 97.5 in Los Angeles. How important is reaching today’s English-preferred, youth-driven Latino audience? 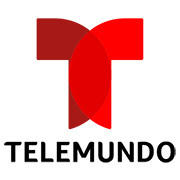 NBCUniversal Telemundo Enterprises has given the green light to the development of its first-ever Noticias Telemundo English-language daily newscast. Just don’t expect to find it on a Telemundo broadcast TV station in the near future. The median age for U.S. Hispanic YouTube users is 27 compared to 42 for non-Hispanic Whites, according to Nielsen. 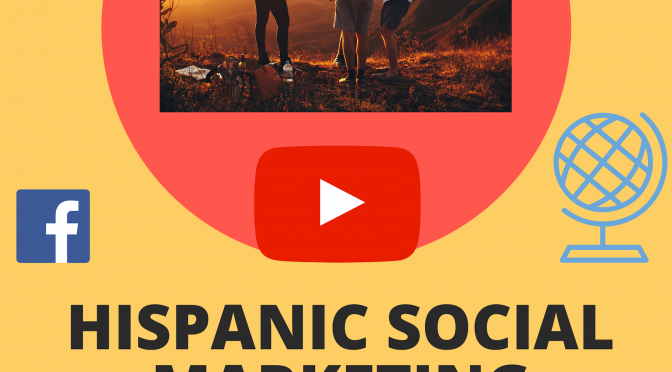 In addition, Hispanics aged 18-49 over-index in YouTube, making it an ideal platform to reach young Latinos. Like the “Radio Lazer” regional Mexican presentation heard on Lazer Broadcasting Corp. stations across the Golden State? Now you can place it on your radio station, thanks to a joint syndication effort forged by Oxnard, Calif.-based Lazer, headed by Alfredo Plascencia, and Houston-based SuiteRadio LLC. The 24/7 local affiliation service will be represented exclusively on a national level by Envision Networks. This makes “Radio Lazer” a component of Envision 24/7 Network offerings with sales handled by the Cleveland-based company. The format targets Hispanics aged 18-49, and is female-friendly. 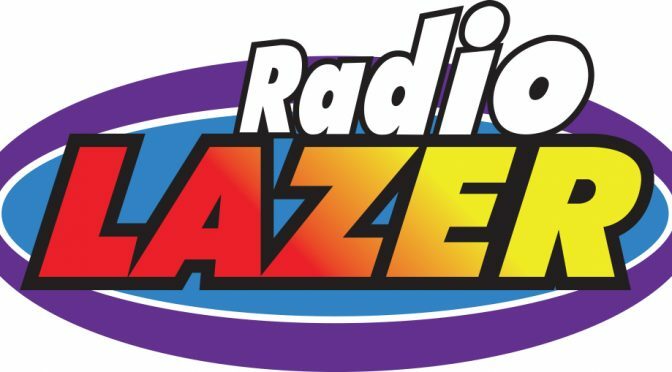 The “Radio Lazer” format is the first of three Spanish language music formats that Lazer Broadcasting plans to make available through SuiteRadio. Further details were not disclosed by Lazer. 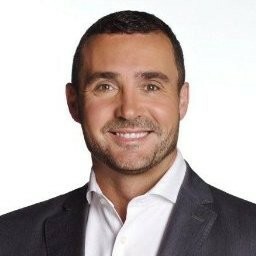 For nearly nine years, Borja Perez has held the Miami-based role of SVP of Digital & Social Media for NBCUniversal Hispanic Enterprises, jumping to the role in March 2012 after some two years as VP of Integrated Solutions for Digital & Social Media at Telemundo. Effective today, Perez no longer has oversight of digital for the network that has effectively “closed the gap” with longtime rival Univision Communications. Perez has moved to the revenue monetization division, taking the new title of Senior Vice President, Revenue Strategy and Innovation. He reports to EVP/Revenue, Strategy and Innovation Peter Blacker, as does his successor. Now serving as SVP/Digital Media is Romina Rosado. Rosado was previously SVP of Noticias Telemundo and Digital News, where she created and oversaw strategies to enhance the consumer experience across multiple distribution points. Prior to Telemundo, Rosado was SVP/Global Content at E!, in Los Angeles where she oversaw all content, news gathering, audience development, and product for the company’s news division. Before that, Rosado was Executive Producer at US Weekly, where she was responsible for launching and executing the company’s digital expansion. With the “realignment in Digital Media,” Perez will assume a newly created role expanding the revenue strategy efforts of NBCUniversal Telemundo Enterprises, announced earlier this year. 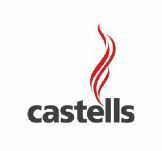 He will work closely with Telemundo Studios and Programming to develop new monetizable opportunities across linear and digital for U.S. and international markets. In addition, Perez will partner with NBCUniversal Advertising Sales leadership with a focus on integrations and commercial innovation targeting the Hispanic market. 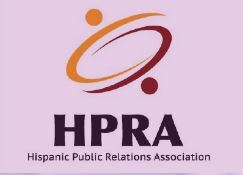 Before joining Telemundo in 2006, Perez was Director of U.S. Hispanic Business for AOL, taking the position in 2002 after serving as Director of Interactive Sales and Marketing for AOL International. Early career stints include AE and Account Coordinator positions at Y&R and BBDO, respectively.